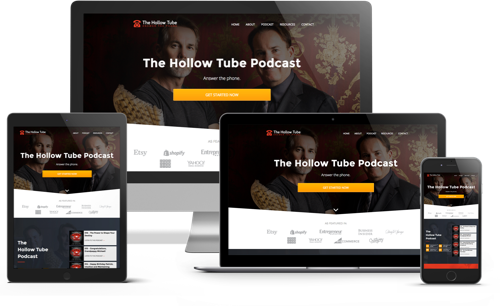 Welcome to episode 7 of The Hollow Tube Podcast, the podcast that answers the question of what if? We kick off today’s show with Patrick trying to defend the metaphor he used last week about fetuses being parasitic. We also want you to know that if we misrepresent a fact we are willing to make corrections. Such as how Darwin’s voyage lasted 5 years not 3 years. Then we discuss Captain Fitzroy and suicide and factors that lead to depression and getting rid of depression. Depression is usually caused by a chemical imbalance, but there can also be exogenous and reactive depression. There was a time when cold water was used as one of the forms of treatment and cold water can slow down the bodies functions. This leads to a discussion of the cleansing properties of water both physically and metaphorically. 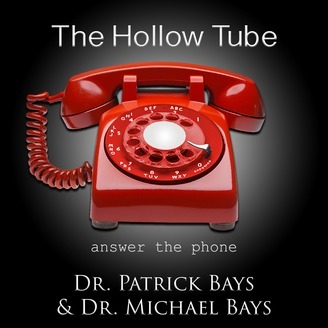 We also talk about where the hollow tube fits into all of this, and we throw in some fun stories and interesting books to add to your reading list. Enjoy. [03:17] Patrick tries to defend his metaphor of fetuses being parasitic from the last episode. [04:38] Reasons women become anemic when they are pregnant. [05:14] At least some folks can agree that some teenagers are parasitic. [06:57] Podcasting like an auctioneer. [08:39] Court reporters and transcriptionists and talking too fast in court. [11:12] If we get something inaccurate on the podcast we always go back and correct it. [11:52] Darwin’s voyage lasted 5 years. 1831 – 1836. Correction made. [13:59] Fitzroy assumed command of the Beagle on Darwin’s famous voyage because the previous Captain killed himself. [16:00] Darwin wasn’t a good sketcher, so he used taxidermy to preserve specimens from his trip. [16:33] Darwin went to medical school, but he was better with plants and animals. [17:22] He didn’t finish medical school after viewing a couple of surgeries who were not under anesthesia. [18:06] Dr. Patrick saw a patient who wanted hip surgery without anesthesia because he was a hypnotist. The patient lasted until they made it down to the bone and then asked for anesthesia. [20:14] Fitzroy wanted a companion on the ship because he didn’t want to commit suicide like the previous Captain. [20:50] Darwin was an abolitionist. [21:04] In his later years Fitzroy committed suicide with a razor to the throat. He went full circle. [22:07] Genetic predisposition for depression because it is a chemical problem. [23:10] Cold water as a form of therapy in the old days. Diving reflex where everything slows down when we are underwater. Minimal heartbeat, less oxygen, brain preservation. [24:01] Iceman Wim Hof cured his depression with ice cold water immersion and yoga. [25:59] Exogenous depression and seasonal affective disorder and reactive depression such as a death etc. [26:53] How depression propelled Uncle Michael to go to South America. [27:14] Patrick snapped himself out of a phase of blue moods by making his bed every morning. [30:06] How these podcasts aren’t scripted, and we don’t always have a lot of planned researched content. We try to be accurate, but we can always go back and fact check. [31:54] Patrick had to testify in several trials this week. He often serves as an expert witness. [32:32] Patrick is an orthopedic surgeon and has a degree in pharmacy. [33:33] How to qualify to be an expert witness during a trial. [34:24] The father of manipulative medicine and the beginning of chiropractic school and Daniel David Palmer. [35:52] Polymath is someone fluent in many different things. [38:09] Miyamoto Musashi a polymath and master of two swords. Being an expert in something can make you an expert in something else. [39:04] How ironing and sewing helped Patrick to become a better surgeon. [43:29] Tao – the space in between the breaths that we take. [46:30] How it is difficult to explain ideas that don’t have names. [47:08] Traveling through the hollow tube. Let go of ego, opinions, and always needing to know the outcome. Accept that we are eternal beings, and accept our situation. Realize that we have the ability to change, and we can only change ourselves. Allow things to happen. Allow the phone to ring and then answer it. [56:56] Washing hands, cleansing with water, and baptism and original sin. [58:59] Importance of water in the evolution of man. [01:00:55] Purification with water and the hollow tube. Physical manifestation and a metaphor.